A 492 m long stretch of the A10 motorway has been enclosed at Flachau. The structure being erected here is a massive enclosure which will be covered with spoil after completion so as to create a valley-head. On the southbound carriageway, noise-abatement galleries will follow on from both ends of the enclosure tunnel. 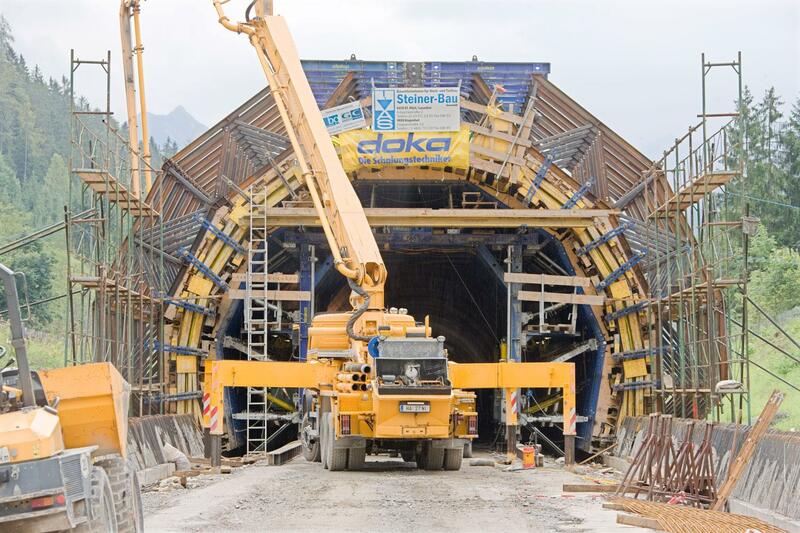 To save on manhours and costs, the site engineers opted for a Doka tunnel-formwork traveller with non-tied wall formwork. Thank you for your interest - A10 motorway enclosure tunnel, Flachau. Thank you very much for your interest - A10 motorway enclosure tunnel, Flachau.